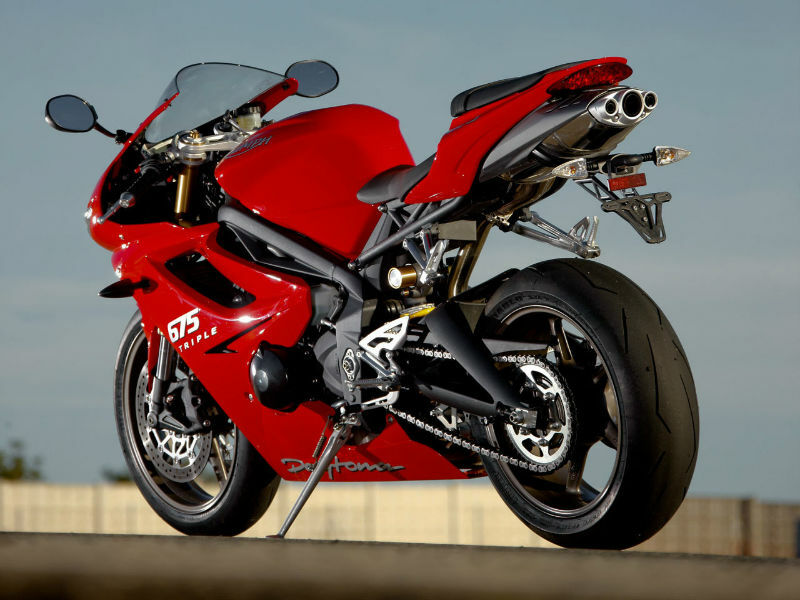 Triumph Daytona is a stylish, middleweight sports bike with the efficient engine, quality features and added comforts. Read the review to explore the features, technical specifications & price. The iconic British motorcycle company Triumph's new venture Daytona has become successful by impressing every bike lover. This trendy and fashionable sports vehicle is known for its middle weight design which gives better handling and greater control to the rider. The stunning looks of the bike is well balanced with the advanced technology which makes the driving more memorable. Daytona is powered by efficient 675 cc, liquid cooled, 12 valve, DOHC, in-line 3 cylinder engine which assures better performance and thrilling speed. The maximum power achieved from this is about 92 kW at 12600rpm and the highest torque achieved is 72 Nm at 11700rpm. The power so generated reaches the wheel through 6 speed transmission. When it comes to looks, the motorbike is simply awesome and unbelievable. The piercing body of Daytona with the eagle eyed twin headlamp, stylish fairing, trendy wheels and everything about it seeks attention. The trendy built of the vehicle is not just for the appearance but to meet the various concerns for the safe and comfortable driving, so that rider will not feel exhausted even after crossing hundreds of miles. 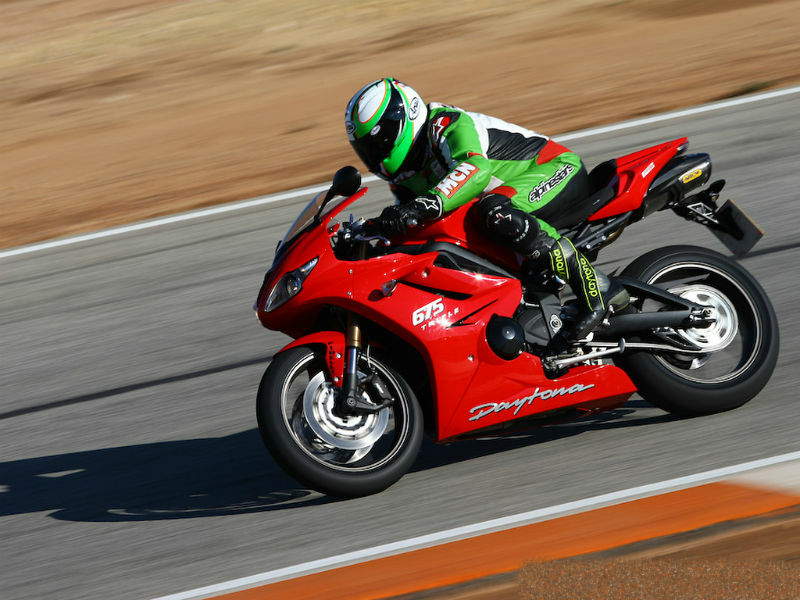 Riding Daytona is a wonderful experience as the body of it is carefully structured to meet the aerodynamics. The low seat, proper handle bar position and comfortably placed foot paddle makes the vehicle stand apart. The quality suspension including the front Öhlins 43mm upside down NIX30 forks and rear Öhlins TTX36 twin tube monoshock with piggy back reservoir assure smooth drive on any road. The disc brakes used are capable enough to give complete control of the bike to the rider. The bike offers the descent mileage of about 20 kmpl in city limits and in highways it gives 23 kmpl. 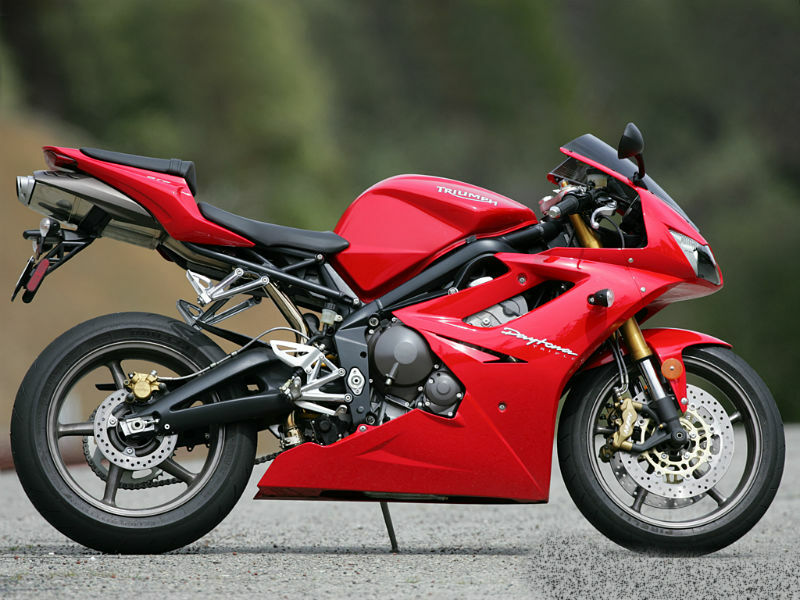 This vehicle comes in two variants namely Triumph Daytona 675 and Triumph Daytona 675 R and the ex-show room price is Rs. 7,00,000 and Rs. 8,00,000 respectively.